Home News First Trax “If you don’t like the weather . . .
“If you don’t like the weather . . . This weekend was a true southeast ski weekend, weather-wise. This includes sunshine, rain, fog, wintry mix, etc. . . sometimes all at the same time. I always wonder what a transplant from somewhere in Sunny Southern California thinks of when they move to the southeast. What’s the saying by Mark Twain . . . “if you don’t like the weather, wait five minutes”. I got out to Wolf Ridge on Saturday. Meet up with my buddy George who is an all-around good guy, and works at Wolf. A jack-of-all trades who teaches skiing, and is always the first to jump in and help “a man down” on the slopes . . . thanks for all you do at Wolf, George! Sunday, I took some runs with my bud Lecky Haller at Cataloochee. 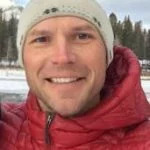 Lecky is the coach of the ski team at The Asheville School and a 2-time Whitewater Olympian in the C2. We ripped it up on the slopes just before it started to rain . . . and it was good! Thanks for the runs . . . and thanks for coaching/mentoring those future ski olympians! This work week looks like a mixed bag of weather as some nights look ‘iffy’ for snowmaking. The day time highs will be a little warmer than average, but not bad. Get some mid-week runs in before the crowds arrive this weekend! WV is going to get some snow this week . . . The question is how much? 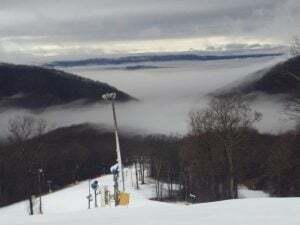 Canaan Valley: 1.1″ overnight. David Lesher mentions, “Light snow changed to rain overnight as temperatures crept above freezing”. The epic saga continues . . .
Widowmaker (advanced) has a delayed opening today. Forecast: Cloudy with off an on showers. Dress in layers so you are comfortable and it should be a great day to be on the slopes. 25 (of 27) runs and 6 lifts open on a 30-54″ Granular, loose granular and variable base. Good proportion! . . . 25/6 = 4.16 runs per lift. 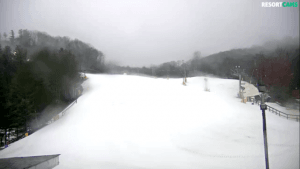 8 runs and 1 lift open on a 14-48″ groomed base. NC is going to be a bit moisture-laden this week. Announced their upcoming Retro 80’s Ski Weekend . . . Always a hoot! 13 runs on a 36-70″ PACKED POWDER / GROOMED base. 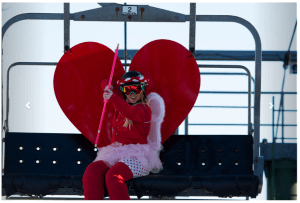 “We have plenty of snow and are open on all 18 slopes with a base of 71-105″ and a groomed surface”. Wolf: 10 runs and 3 lifts on a 49″ loose granular base. I was there on Saturday, and there WERE a couple of terrain park features at the bottom of (intermediate) Lower Streak. Those included a box, corrugated pvc, and a corrugated pvc with a bonk. 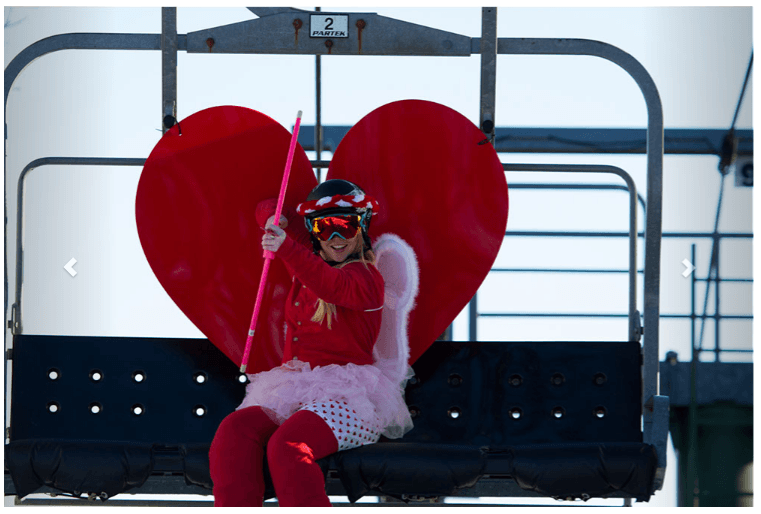 Open on 2 runs with 3 lifts on a 26-67″ groomed base. Best proportion! . . . No lift lines ever with 3 lifts and 2 runs! Latest update from Bryce was last week . . . does this mean their terrain park is still set up!?!? Homestead: Open 9-4:30 on 8 runs and 2 lifts. “Hi Mike, Jeff Kelly (a member of our ski patrol) took this picture this morning! . . .
27 runs open (Groomed on 23).